The primary goal of Battle for the Ring is to provide an intense and excellent fighting and social experience to our experienced and returning fighters. At the same time, we hope to use Battle for the Ring to introduce new fighters who have never been to a national event, as well as cross-sport fighters who are interested in our method of play, to the national Belegarth community. We are dedicated to creating an enjoyable and educational experience for new fighters, fostering unity and good relations across sports, and ultimately creating a friendly, mutually supportive community through which the sport of Medieval Combat can grow in strength, popularity, and fame. Preregistration is $40 by December 1st or $35 for those traveling from more than 1000 one way. On site regestration is $50 at the door or $40 for those traveling from more than 1000 one way; includes camping for 4 days, feast on Saturday, games, activities, fighting, dessert night Sunday, and Breakfast for early-bird volunteers Saturday. Pre-register either through Paypal to Battle4thering@gmail.com or send a check to "Ana Nagel" 140 South Jeanine Way Anaheim, CA 92806. Children under 14 are admitted free with signed waiver and guardians MUST remain on site with them at all times. They cannot participate in official combat activities. Camps sites open at 12:00PM on Thursday, January 11th. Check out is by 12:00PM Monday, January 15th. You may not arrive early. This camping guide by Matthew 'Winter' DiSabatino of Andor is a good resource for anyone new to BFTR. This site features indoor toilets, working hot showers, and a washer/dryer for clothes (shower and washer/dryer require quarters, also available at check-in desk). BftR can also accommodate RV camping! If you are interested in camping in your RV and want electrical hook-ups, we have RV spots for reservation available. RV Spots are $20 per night with BftR if you reserve through us instead of the park. This includes some green space around the RV, but may be near quiet camp tent campers. Reservations for RV spots is the only way we can accommodate large RVs! To reserve Private Group or RV camping with electrical access and private parking, please contact battle4thering@gmail.com. Official heralded fighting all day Friday, all day Saturday, all day Sunday. Unofficial fighting Thursday and at night. We will feature massive field battles, theme battles, tournaments with prizes, and etc. Weapon's safety check required for all equipment. Loaner equipment available. Minimum age to participate in fighting and field battles is 14 years old. Everything you need to know about the biggest western Belegarth event! BFTR XI will feature a nightly Dragon's Inn, an indoor Game Room featuring board games, collectible card games (especially MTG), tabletop RPGs, and the like. If you have any decks, boardgames, or one-shots you'd like to run, bring them along. There will also be tournaments, the Bel Bowl, campfire drumming and dancing, and more fun. Want to watch tournaments in style while dining on fine refreshments? Pay for a premium seat under the blue and white nobles canopy. $60 for the event. Single Day fancy seats are $25. Refreshments served during tournaments and court. Friday 10 am-12 pm, Saturday 10 am -12 pm and again at Feast 6 pm, and Sunday at 6 pm during Awards Night. Menus to follow. For vendor Information, please email Battle4thering@gmail.com. We require permits from the City of Chino, but are eager to help you by giving you the forms and contact information you need. There is a lot of vendor-specific information, so please contact us and we can send you the details on fees, reserving sites with utilities, reserving vendor camp space for personal and business areas, as well as information on our attendee demographics. An event relies on the beneficial conduct of its community members to thrive. Battle for the Ring requires that all participants follow in this code of conduct, local, state, and federal law, as well as the BMCS Code for Ethical Guidelines. Acting contrary to the goals of BMCS or acting in a way that is contrary to the values of our community will result in punishment which may include removal from the event. This is a brief summary of that code. For the full code of conduct, please visit this link. Harassment of any kind is not tolerated and can include, but is not limited to: sexual harassment, stalking, inappropriate physical touch, intimidation, threats, touching without consent, creating a hostile environment, or touching/verbal contact after being told it is not welcome. This also includes work related harassment of volunteers or event staff while performing duties at the event. Any hate speech or symbolism is not allowed. This may include but is not limited to: advocating for hate groups or crimes against others, violence, animosity, threats, or discussing the removal of rights or the right to exist for other groups. Symbols commonly associated with hate groups are not permitted on site. These include swastikas and the confederate flag, as well as other hate group symbols. Information on hate symbols can be found on the Anti-defamation league website. If you have concerns about your symbol, feel free to contact the event. Consent is required for others to participate in activities. Intoxicated or unconscious persons and minors cannot give consent to sexual activities. No means No and people can withdraw consent at any-time. Consent is required at all times. Enthusiastic and verbal consent is the best practice for sexual activity. Anyone can report harassment or safety issues to event staff or security and we will do our best to address these issues at the event. When appropriate, staff and volunteers will attempt mediation and conflict resolution, then potential punishments like removal from activities or even removal from the event. For serious issues, volunteers will recommend calling 911. For immediate health and safety issues, volunteers must call 911. This is a living google sheet of this year's tentative schedule. Please check back frequently, as the actual schedule may still be being updated. If you don't see something on the schedule that you were expecting, please contact battle4thering@gmail.com with your inquiry. The event is run by people like you! We appreciate your service. For information on how to volunteer, please contact battle4thering@gmail.com. We need people of intelligence on this sort of mission... quest... thing... We have Aragorn's sword, Legolas' bow, Gimli's axe, Gandalf's staff, and Boromir's bullseye-painted chest, and we have some Hobbits to bear the ring... but do we have your time? Your dedication? Your love of Battle for the Ring? Will you #JOINTHEFELLOWSHIP? 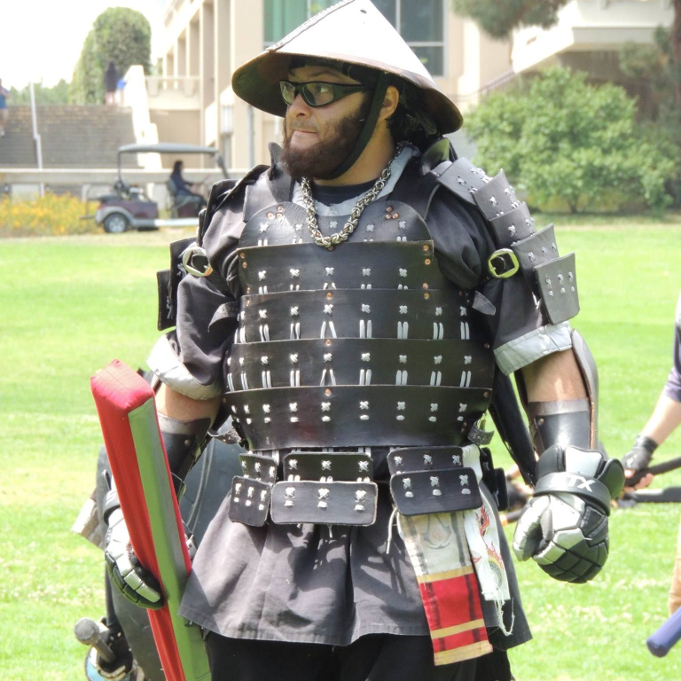 Anastasia Nagel founded BftR as a day event at UC Irvine with Brian Marion in 2009 and the event is basically a continuation of Wedageddon, their medieval fighting and camping wedding event. Ana is effectively the CEO of BftR and is relatively knowledgeable about most things happening at the event or at least all of the objects involved with it. Ana mostly spends her free time collecting "impressive" titles as a hobby, among her favorites in the collection are: Sir Anastasia of Chamonix, Knight of the Western Flame, Empress of the Anduril Empire, and current President of Belegarth Medieval Combat Society. Darth Cheeseheart-Sith Lord in the Medieval world of Belegarth, and a man of many titles. Darth Cheeseheart, also a knight, hails from the realm of Stronghold of the Anduril Empire. He is the leader of the Sith Empire, a group of black-and-silver-clad warriors, artisans, and servants of the community. Cheeseheart has been with Battle for the Ring since its inception as a day event at the University of California, Irvine, and has served as the BftR's Fighting Coordinator and an Event Coordinator since the third installment. He is responsible for creating and executing the "theme" of the event each year through pre-event publicity, back-story creation, and thematically-appropriate scenario battles. He is also the founder of the Bel Bowl, BftR's 10-Man Aztec Football tournament. 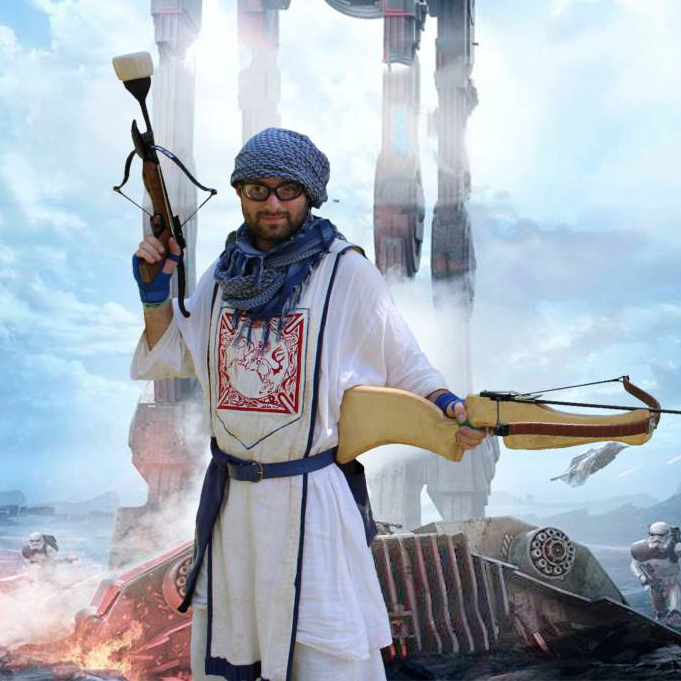 Darth Cheeseheart's one goal is to create a truly unique fighting experience, for Belegrim old and new, each and every year of the event. Sir Torix has been a part of BftR event staff since BftR IV, and has been serving the event for longer. He has held many positions including Volunteer Coordinator, Assistant Event coordinator, and is currently BftR's Web Admin. In addition to helping run BftR, Torix is also a realm leader and founder of Saracor in Northern California. He has helped to create (and continues to improve) open dialogue in Belegarth and other foam fighting sports about public safety in both combat and non-combat related matters. Most recently, Torix helped publish the results and writeup of a public health and safety survey that was run in foam fighting sports, and helped improve and pass rules updates for usage of crossbows in Belegarth. Torix also runs Phoenix Rising, a camping event held in late spring in Central California.